Been meaning to do this for ages now, thought it might be useful to have a subjective and informative thread on tyre choice for the Racing Puma.. Suited for track or road (or maybe both)?? Excellent 10 years ago when the tyres were a little ‘fresher’.. A clear choice for Ford as they were no doubt ‘cheap ish’ probably due them being phased out fairly soon after, also they were super firm.. When the car was new and you drove on these in warm weather there was seemingly endless grip..
Never really had a problem with these in wet weather. You knew where you stood and knew not to take the piss! A good all rounder for both I thought, but definately more a road tyre than track.. Even after hard driving on track the tread stood up well and tyres were generally ok to carry on using on the way home after the mild bobbling had worn down. Wet Weather Performance 5/5 Outstanding! Defies the laws of Physics! Outstanding wet weather feel and grip. Incredible how hard you can drive the FRP in wet weather on these tyres! Definitely a road tyre. Just too expensive to use on track, also the outside semi/slick shoulder wears down too quick on proper hard driving to make them a do’able track tyre. I’, sure this was the tyre developed for the Clio Cup cars… would be interesting experiment if money was no object to give them a good go on track. Excellent feel on the floor, I had real trouble getting a set to balance up properly after numerous attempts, even when I was nearly happy with the balancing, after some hard driving the steering wobble came flying back again… very annoying ( iv’e been very unlucky in this respect I think). Have driven them on three other cars, and the general feel and suitability is excellent, just make sure your tracking and balancing and bushes are all in good order so you don’t spoil them like I did! Dry weather performance score 4.5/5! Excellent dry performance when up to temperature, can catch you out a little if you swing them into a corner without appropriate warm up time. Overall feel and suitability - 5/5! Awesome feel on the FRP, a very firm and grippy feel, compliments the handling superbly, going from the pilot exaltos to these was like fitting whole new suspension! In my opinion simply the ultimate FRP tyre!! Acceptable but you know not to take the piss!.. nothing like the Pilot exaltos.. observe caution! admendment.... These have just felt thinner and thinner as the year has gone by....like driving on jelly now /> ... NOT a good choice for the FRP at all!! I went for the extra load verson, this tyre has rim protection. Very Good but benefits from getting warm. Pretty good, suprisingly better then expected and coped well on very heavy down pour on a motorway and did not aqua plane, cornering fine for normal wet weather sensible driving. Road and have been OK on track. Very pleased with the controlled tread wear, there was no excessive walking of tyre tread which can suggest weak side walls. I found that the tread does not destroy when trye gets very hot. So far the tyres did a trip to Germany and the ring and have done five UK track days and still have lots of tread left and pretty even tread wear too. Because I have done 5 half track days I think the tyre compound is harder then I want next time. 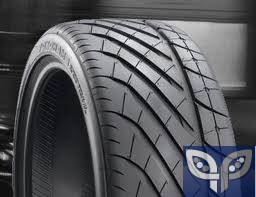 Very precise tyre, very precise directional feel. Tyres are very firm and perhaps too noisey for some. Tread pattern OK visually. 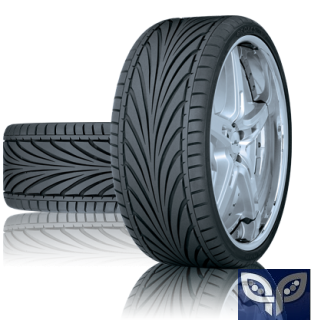 A directional tyre. Yes, GBP 127 each, I bought mine through My Tyres. 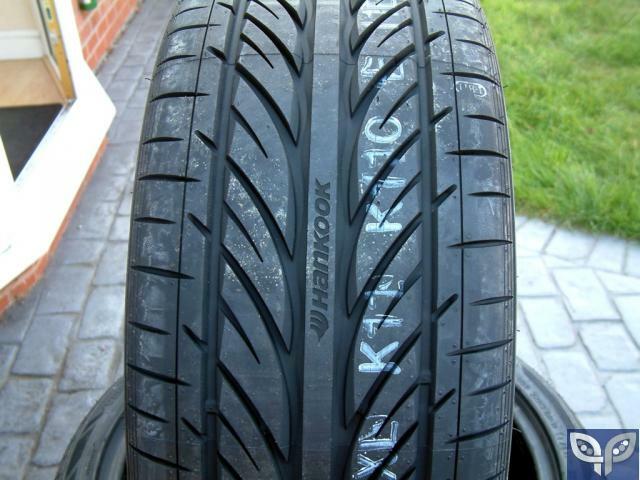 I will probally change tyre again when these wear out and have my eye on a set of Advans. I had 2 new ones fitted yesterday. Dry conditions give fantastic grip but not the best in the wet! Road noise is quiet, and just a good alround Tyre. Not my choice of tyres for every day roads use. My FRP had them on the front with a good 7mm + of tread on when I bought it. It followed white lines and road imperfections, aquaplaned and was generally horrible to drive. So much so I thought it was a problem with the car. A change to Uniroyles sorted it. They are a lot cheaper than the uniroyles and Pirelli's at £81 each from EARS motorsport. I picked one of these up and put it opposite a Toyo T1S on the front for a airfield trackday on the basis it wasn't going to last long. My mistake was which side I fitted it to, thinking the fastest corners would load the driver side. How wrong I was. It performed as well as the Toyo at half the price. Couldn't fault it it any way all day. OK it was a dry and track use only. But I caught a Ariel Atom up with it on and spent 6 or 7 laps chasing a mate with his Lotus Elise who could open up a gap. Suited for track or road (or maybe both)?? - Score 3.75 I think they are OK for road use, they neither in my eyes excel or dissapoint. When I ran a set on the back, never had them on the front, they did not do anything silly, but I found the feel on track not precise enough for my taste. these did not appear to be a noisey tyre nor were they crashy. avoid on the FRP!... far too thin and jelly like after a few months of use... not good! But on the advice of 'El Dude' a couple of years ago, when they needed changing I fitted Michelin Pilot Exalto PE2 all round. I'd simply echo the thoughts that these are excellent all round , and as a great bonus they just protrude beyond the edge of the rim rather then the other way about which was the case with the previous ones I had fitted (I hate it when this happens), which means you can gently touch kerbs without kerbing the alloys when parking. They way I see it is if you find a great product, stick with it, and ATEOTD it's ultimately your tyres which keep your stuck to the road - I want the best I can get to do this well! Id like to add how good i find the yoko paradas in the dry weather, ok so im driving on ice basicly in the wet but hey just stay at home when its raining! And my opinion of the toyo t1rs is that they were good in the dry and in the wet. All depends how hard u push round corners or roundabouts! FRP 038 - R.I.P killed by an old man in his toyota avensis. FRP 245 - sold, then killed by new owner! FRP 225 - sold in 2013 and regretted it ever since!FRP ??? - Now after another one after two years of Fiesta ST2 ownership. 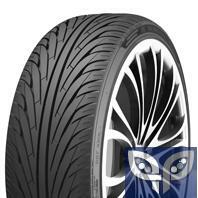 I have just ordered a pair of Uniroyle Rainmaster 2's from a local tyre supplier. I'm going to leave the toyo's on the back for now. £94 each fitted and balanced. Will get them fitted in the morning. I will give them a few days the wear in before trying out the grip levels. 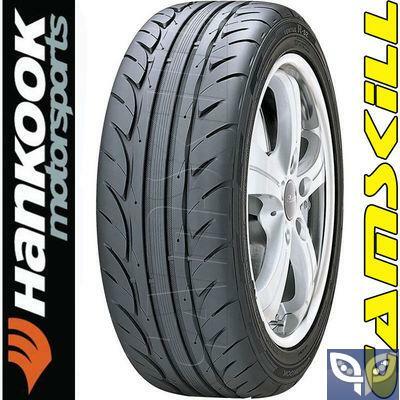 I had, when I purchased 383, nexen n6000 tyres on they seemed a good tyre........... Untill I put a pair of Nankang ns2's on the front when I went to Ford Fair for the track sessions. I cannot rate the ns2's highly enough, excellent grip and feed back even when the rear n6000's had over heated and started to go, to the point where they started graining, and they weren't even doing the hard work! 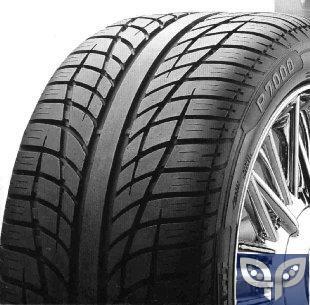 Nexen N6000 3/5 alround as they are a good road tyre but don't expect them to perform too well on the track! ps.. can people read post no.1 before writing please... and offer as much info and comparison as possible..... just 'bigging up' a new tyre isn't actually very subjective or helpful!... ANY new tyre, even the crap ones will transmit a very different feel to the old ones ideally give them a few months to settle, and then big them up.. I took the "Runway" tyres off last week and put the Uniroyles back on. Trackday on Saturday, so a bit of tyre abuse coming up. 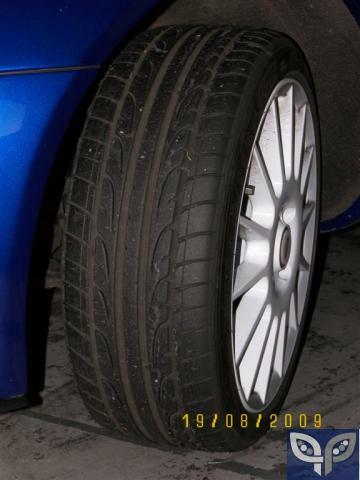 So I've had Toyo T1R's fitted all round to the FRP since I've owned it (5 years) always found them to be fairly good. Very good grip in the dry, not brilliant in the wet but acceptable. So the fronts needed replacing and I thought sod it I fancy a change so changed all four to Falken ZE914 (previously had ze912's on my old puma and found them to be very good). I had been having a fair bit of steering shake and pulling to the left so I was sure I had a buckled wheel and the tracking was out... Neither was the case it was down to the Toyos. Now with the Falkens fitted no steering shake at all and no pull to either side what so ever. Speaking to the guy that fitted them, apparently Toyos are very prone to this. Has put me off having them again in the future. Used to hate driving the FRP because of the above and was always on the look out for new wheels as I was soo sure they were buckled never did I think it was down to the tyres. Haven't really had chance yet to see what the Falkens are like but they grip very well in the dry. Also over £30 cheaper a tyre than Toyos from Black Circles. I paid £67 each delivered and £10 to have them fitted. Both issues are EXTREMELY hard to fix at the level of service you get at most tyre fitting centers..and as for the tyre fitter saying that's a problem with Toyo's..lol what a complete plonker!.. 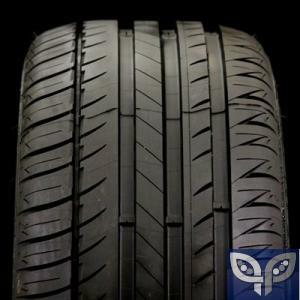 you'll probably find the new tyres do exactly the same when they bed in to your current settings (unless it's been corrected of course)..
Rubber wear from track use as illustrated on your Toyos I have found will cause those symptoms, I had this with my P7000 if I did not swap them around to even the wear.